Vedic Astrologer Shyamasundara Dasa - strategic consultant: your authentic resource for Jyotish, dharma and spirituality. Trusted confidant, adviser and strategic consultant to innovative individuals everywhere. Your authentic resource for Vedic astrology, dharma, spirituality, and Vedic culture-worldview. June 13, 2018: Uploaded a new lecture “The 27th quality of a devotee” or, how to be a devotee. It is found in chronological order at the bottom of the lectures page. February 20, 2018: I formally published Did Bhaktisiddhanta use a Tropical Zodiac? ‒Scrutinizing Silly Notions. This article also uses some nice effects that not only add aesthetic appeal but are also useful for highlighting important points and for displaying footnotes and example charts. December 9, 2017: I have added a new article A Response to – The Argument for the Tropical Zodiac in Vedic Astrology. September 18, 2017: I have added a new article Al-Biruni and Mahmud of Ghazni, as well as a pdf of a French translation of The Real Reason Sita was Exiled by Rama and a link to video version of a lecture I had given. 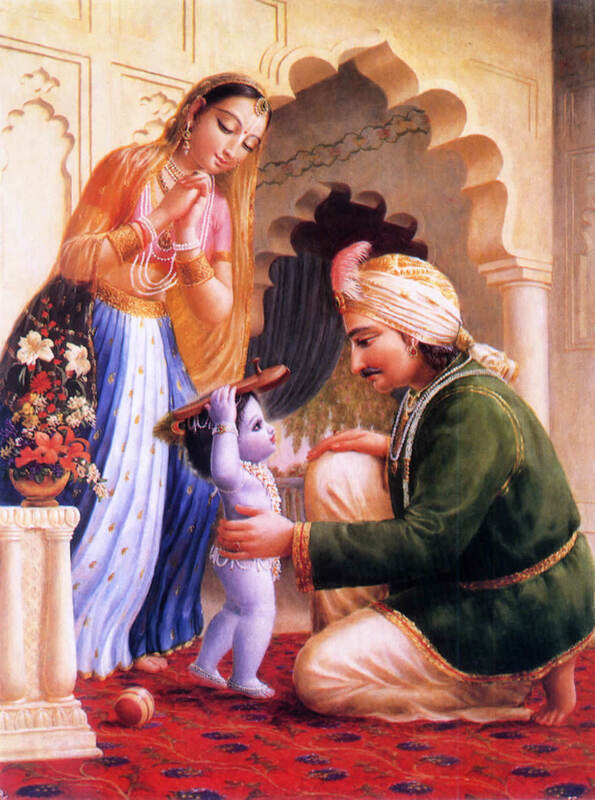 August 30, 2017: I added two lectures regarding Janmastami and Radhastami. July 9, 2017: I was previously using LiveFyre for user comments but after Adobe bought LiveFyre they decided they would only support enterprise users. Hence, I have switched over to Disqus. I have also switched over from http to https. May 3, 2017: just in time for Nṛsiṁha-caturdasi I have uploaded a text about who Prahlāda Maharaja was in his previous life and what he did to become a devotee of Lord Nṛsiṁhadeva. April 21, 2017: today I published a new article Life of Govinda Bhattathiri, ]yotish Acarya who was famous in Kerala for his brilliant predictions and commentary on Brihat Jataka. April 3, 2017: uploaded PDFs of Russian translations of The Real Reason Sita was Exiled by Rama and How Long is a Year in Vimsottari Mahadasa? as well as a Spanish translation of What is Vedic Astrology? My sincere thanks to the translators for their help. If you would like to help translate an article into your language please let me know. August 31, 2016: uploaded a new lecture for Vyasa Puja "How to actually bring glory to Srila Prabhupada." Scroll to bottom of page. April 14, 2016: Just in time for Ramanavami I published another article regarding the Ramayana entitled Mysteries of the Ramayana: The Real Reason Sita was Exiled by Rama. April 9, 2016: I published an article entitled Is “Sri Lanka” the “Lanka” of the Ramayana? The short answer is “no” to find out how I came to my conclusion read the article. March 28, 2016: uploaded a new lecture on the "Exoteric meaning of the appearance of Lord Caitanya" on the lectures page. August 21, 2015: In response to numerous requests I added an extensive “reading list.” I also added a “scroll to top” widget for navigational ease. On July 9, 2015: published the article Kurmarupa Prabhu - Blessed by the Cows of Vraja an Astrological analysis that discusses the death chart of this devotee who dedicated his life to cow protection. April 11, 2015: I published an article Was Alexander the Great a Contempory of Canakya Pandit? – the Puranic Version. December 11, 2014: A research assistant asked me the following question: "Why [in Vedic culture] do women wear rings on the left hand and men on the right?" Clink on the link to find out the answer. November 14, 2014: I added an essay Are There Different Sizes of Infinity? 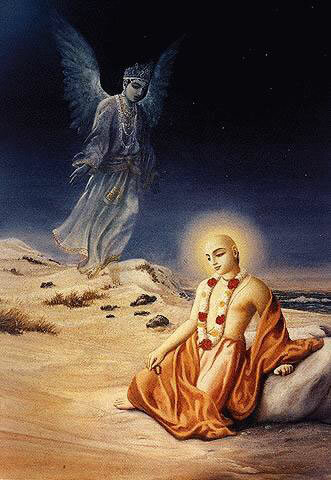 that discusses the paradoxical statement in the Purusha Sukta that the spiritual creation is three times bigger than the material creation yet both are infinite. How then can both be infinite, yet one is smaller than the other? To answer this paradox we borrow some ideas from Georg Cantor’s theory of transfinite numbers. September 14, 2014: I revised the article How Long is the Year in Vimshottari Mahadasha? with an important quote from Bhaskaracarya's Siddhanta-siromani. You will find the revision on page 5 of the article. September 10, 2014: added sixteen new lectures to the lectures page from travels in UK, Canada and India. We also added sub-menus to aid in navigation. March 18, 2014: four new lectures added to the lectures page. November 7, 2013: I uploaded 21 lectures to the lectures page. October 27, 2013: For a variety of reasons I had to completely redo my website, something I didn’t want to do but was forced on me. A combination of a change in html editors and switch from PC to Mac made it inevitable. A lot has happened on the web since my last major update in 2005 including the arrival of the smart phone. This current version of my site uses a responsive design so that it will change according to the size of the view port so that it will look its best no matter if you view it on a desktop, laptop, iPad, or smartphone. I have also made it in such a way that if I want to completely change the look of the site I need only change and upload three (3) files. Another major change is that on my previous site the home page had a completely different look than the interior of the site. In this version it is uniform throughout. I also added ability to add comments, an RSS feed and social connectivity. This update took a lot of time and work; I started in Dec 2012 and just finished today. Now (after I rest for a while) I will be able to spend time researching and writing new articles. In case you never saw the previous version of my site click on the link to see what it looked like before. July 23, 2009: I have added an article entitled On the Authenticity of the (Modern) Brhat Parasara Hora Sastra. It first appeared in the June and July 2009, issues of The Astrological eMagazine, Bangalore. This article explores how the modern BPHS became viewed as the "Bible of Vedic Astrology" when in fact it is not but rather a collection of interpolated texts. June 6, 2009: I have added a section on lectures that I have given in recent years in MP3 format. February 24, 2008: still recuperating, I have added a new section dedicated to "informal articles" on the Articles page. It will consist mostly of interesting email texts from the past that deserve to be preserved. November 25, 2007: While recuperating from my numerous injuries suffered in my accident I used the time to publish an article called Judging Wealth With Caturtamsa that appeared in the September and October 2007 edition of The Astrological Magazine. September 3, 2007: While travelling from Delhi to Vrndavan to celebrate Janmastami my wife and I were almost killed in a serious car wreck. We dictated our story to a person whose native tongue is not English and since our condition did not allow me to edit for errors you will find many but it doesn't detract from the impact. May 29, 2007: I have added three new questions and their answers in the Questions and Answers section. Is Numerology relevant? Should we use True or Mean Rahu? And, what is the actual time we should take as the time of birth?" April 8, 2007: I have added answer to a question about Kala sarpa yoga and Kala amrita yoga in the Questions and Answers section. March 21, 2007: I have started a new section in my Resources area called Questions and Answers it is for posting answers to general questions on Vedic Astrology that I have been asked. I have also up-dated the client comment section. September 13, 2006: I have added an excerpt from the Mahabharata to the download section telling the story Nala of and Damayanti an inspiring story for married couples. August 1, 2006: If you can read Serbo-Croatian here is the January 7th, 2006 interview of me done by the Croatian online blogazine Akincana-Gocara. [dead link] I hope to get the orginal English transcribed and publish it. July 26, 2005: I was recently sent a very mangled version of how the famous astrologer Varaha Mihira was given the title "Varaha" or boar/pig. A strange title indeed but even stranger is how he got it. Read about how and why Mihira Acarya was given the name Varaha Mihira. July 12, 2005: We are pleased to announce that we are now accepting jyotish students at the newly opened Bhaktivedanta College School of Jyotish. Our website was also awarded the Sapta Ratna - Seven Gems - for outstanding site devoted to jyotish. May 31, 2005: In the download section you will find a copy of Ganguly's complete English translation of the Mahabharata (originally in 13 hardback volumes) in PDF format. It is in a zipped file. You will also find a copy as a PDF of a canto of Agnivesa's Caraka Samhita (an Ayurvedic text) entitled Sarirasthana, a fascinating account of how the body is formed starting with philosophical details, conception, karmic details, embryology etc. February 14, 2005: we added a few humorous comments about how "science" views astrology? October 27, 2004: we made our public prediction on the US Presidential elections. 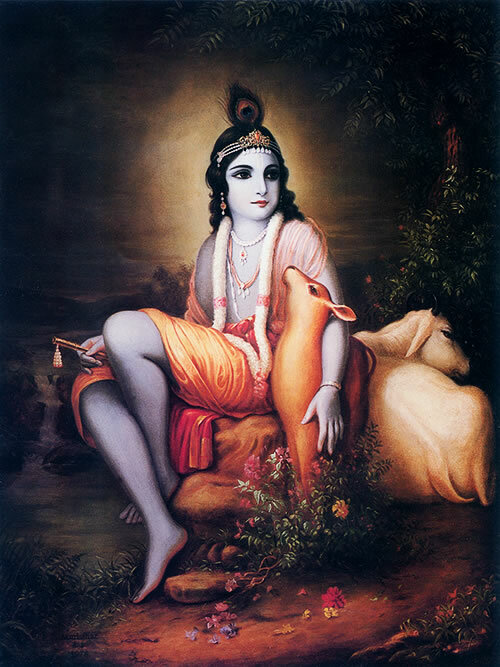 Hare Krsna! Thank you for visiting my Jyotish site. Before going further find yourself subscribing to our intermittent newsletter and Bookmarking this page now so you can find it again in the future without difficulty. You may want to get some snacks and drinks now to avoid distraction later from your stomach while exploring this site. Here you will find an educational site with a very traditional and personal approach to the ancient science of Jyotish also known as Vedic Astrology or Hindu Astrology. Traditional doesn’t mean unsuitable to modern times, not at all, because the Jyotish texts instruct the intelligent astrologer to fit his reading to match the kala-desa-patra, that is, the current “time, place and circumstances” that he is in. Thus a truly traditional astrologer will thrive in any historical era or social context. Are you wondering what are the best Vedic astrology books to read? Then visit our recommended reading list for serious students of astrology. 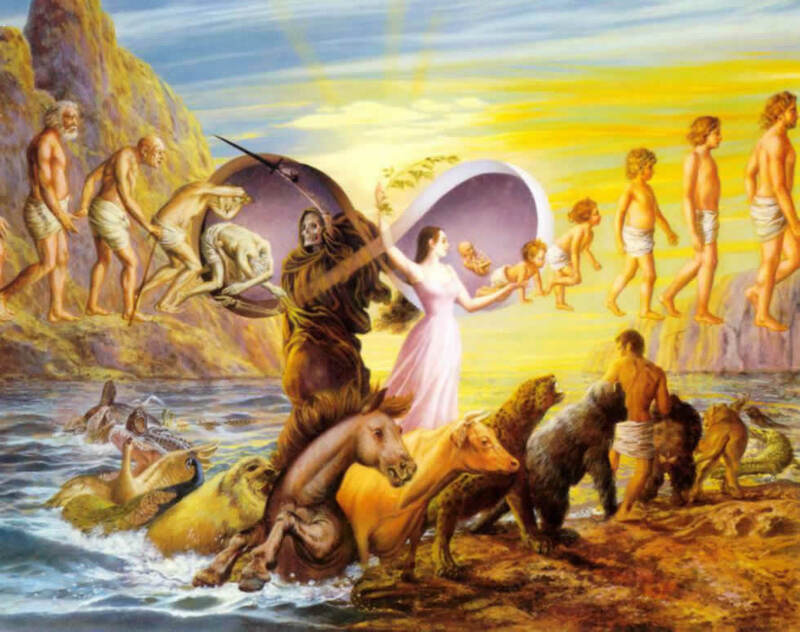 Samsara - the cycle of birth and death in different species of life. Whether you are new to Vedic astrology or are an expert you will find something of interest on the site. From introductory articles that explain the history of Jyotish as well as the consumer’s guide What is Vedic Astrology? that tells you everything that you wanted to know about Vedic astrology but were afraid to ask; to topics for intermediate and advanced students as well as scholars. In these articles we try to go beyond the “how to’s” to the “why’s” -- a deeper look into the philosophical, foundational topics and spiritual basis surrounding Jyotish that make it a very useful tool for spiritual growth. Subscribe to our mailing list. And get our intermittent newsletter and updates to this site. Often students jump into the techniques without really understanding the philosophy and worldview of Vedic astrology. These articles are meant to fill that lacuna, several of them are translated into other languages like Russian, French, Croatian and German and available as PDFs. We are intermittently adding to this collection so stay tuned and check in again to find out what’s new. Or, click on the RSS feed icon in the footer at the bottom of the screen to be alerted of any updates. Expect insight, understanding, and answers to your questions. Our resources page has articles, lectures, predictions, free downloads, “Questions and Answers,” links, and more. Start off by reading the consumer’s guide: What is Vedic Astrology? It will help you to understand something of the depth of Vedic Astrology, its relationship to Western Astrology, the role of fate, free will* and the law of karma, and the basic meanings of the planets and houses in a Vedic astrology chart. You will also find out about the many powerful tools available in Vedic astrology. And, it will give you hints and tips on how to choose a Vedic Astrologer. *Because Vedic Astrology is a part of the Vedic worldview it is not deterministic or fatalistic; rather you always have free will, though in comparison with God your free will is small (infinitesimal) while His is infinite. Still though it is tiny you do have free will and Jyotish helps you to use your freewill to act with wisdom rather than reacting to the world around you in ignorance. We offer practically every Vedic astrological service imaginable. For some of these (such as Prashna) we are the only competently trained Vedic astrologer outside of India. Typically when people think of astrology they think “birth chart.” However, there is a whole world of powerful Jyotish techniques in which we have trained. What is Vedic Astrology? explains practically every possible use that Jyotish can be put to. Jyotish is a super-science and in the hands of an expert astrologer you have a powerful tool to help and guide you in making your strategic and tactical decisions. Unlike other sites our chart readings are done by a real live trained Vedic astrology scholar and are not computer generated, generic and impersonal readings done by a ghost writer. Or, the “advice” of a self-taught amateur. This makes a big difference as our client comments tell and as you will personally experience for yourself. To get more detailed knowledge about our various services click on this link. To go directly to the services page and request a service click on this link. If you have any suggestions about how to improve this site or things that you would like to see included or have any constructive criticism or comments please feel free to contact us about them. And, if you notice any problem with the functioning of this site contact us immediately; you will earn our boundless gratitude.